'A compelling challenge to conventional thought' - "New York Times". 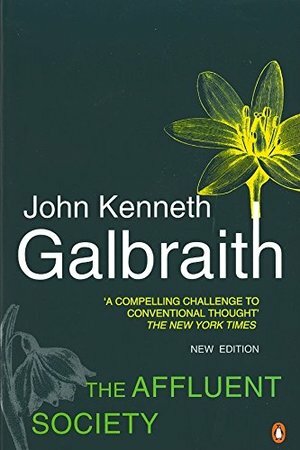 In this newly updated edition of his classic text on the "economics of abundance", Galbraith lays bare the hazards of individual and social complacency about economic inequality. It is as relevant now, with the ever-widening gap between rich and poor, as when it was first published 40 years ago. Galbraith challenges why we worship work and productivity when so many of the goods we produce are superfluous, and why we grudge spending on public works while ignoring extravagance in the private sector. "The Affluent Society" exemplifies Galbraith's wit, clarity and eloquence of prose.